Children in Dubai are being treated to two weeks of fun and marvel as Dubai Culture & Arts Authority's (Dubai Culture) ‘Spring Colours Festival’ to help them to benefit from their free time away from school during spring break. Running from March 23 to April 8 cross five Dubai Public Library branches, the activities have been designed for children from 6 to 15 years old, to develop their skills. The festival will be held at the Hatta, Al Rashidya, Al Twar, Al Mankhool and Umm Suqeim branches. Hatta Public Library will be hosting a total of 10 activities during the festival. A festival brief on March 26 was followed by activities that kick started the two week initiative, including ‘Innovate for Yourself’, which showed children how to recycle materials and raised awareness about the importance of preserving the environment. Many other activities are ongoing and the library will also be taking participating children on a trip to Zabeel Park in Dubai. The Al Rashidya, Al Twar, Al Mankhool and Umm Suqeim branches will host several activities and workshops during the festival. Al Rashidya is organising 11 activities including ‘Making Video Games’ and ‘Team Spirit’ workshops, while Al Twar will host six activities including a ‘Thinker Programme’ and a lecture for adults about cupping treatments on April 8. 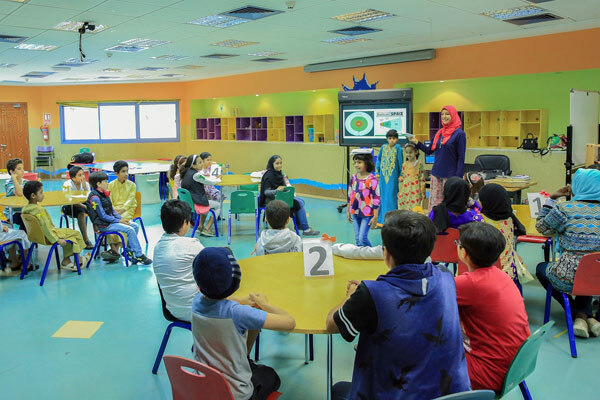 The Al Mankhool branch will host nine activities such as ‘Future Leader’ and ‘Calligraphy Workshop’, and the Umm Suqeim branch will launch four activities including ‘Innovate for Yourself’, ‘Art Etiquette’, and a trip for children to Zabeel Park.